Multi-platinum certified pop icon Seal graces the Van Wezel Performing Arts Hall stage for one glorious night only in the winter of 2019! The London-born-and-raised, towering 6ft 4in heartthrob overcame a childhood marred by abuse and the auto-immune disease lupus (which resulted in his definitive facial scarring) to become one of the most recognisable voices of our time, first tasting success with the 1990 house/techno-tinged collaboration Adamski. Just one year later his debut eponymous album Seal introduced the world to his husky tenor in earnest, with the album selling over three million copies. 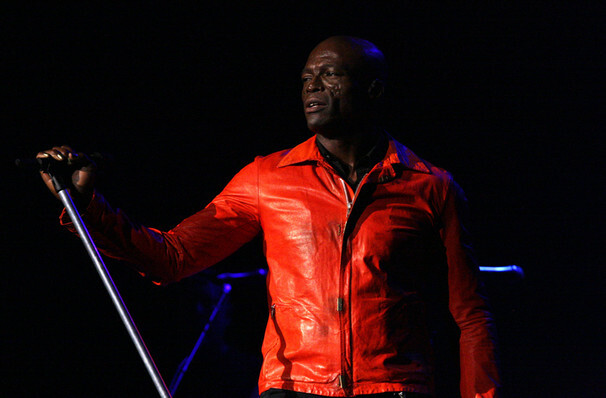 Whilst his debut was steeped in the sounds of acid house, Seal evolved his style during the mid 90s by blending a soulful lead vocal with strains of pop, folk, dance and rock, a heady blend of genres that found burgeoning success overseas as well as in the UK. Six albums and almost three decades later, the four-time Grammy winner's legacy has flourished into the stuff of pop culture legend. Don't miss bonafide Seal classics 'Crazy', 'Kiss From A Rose' and 'Love's Divine' at this special one off show. Sound good to you? 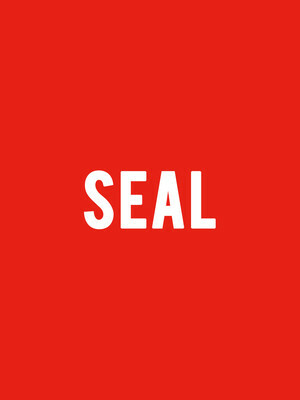 Share this page on social media and let your friends know about Seal at Van Wezel Performing Arts Hall. Please note: The term Van Wezel Performing Arts Hall and/or Seal as well as all associated graphics, logos, and/or other trademarks, tradenames or copyrights are the property of the Van Wezel Performing Arts Hall and/or Seal and are used herein for factual descriptive purposes only. We are in no way associated with or authorized by the Van Wezel Performing Arts Hall and/or Seal and neither that entity nor any of its affiliates have licensed or endorsed us to sell tickets, goods and or services in conjunction with their events.